Did you know that you can make a family tree and ancestry charts very easily? 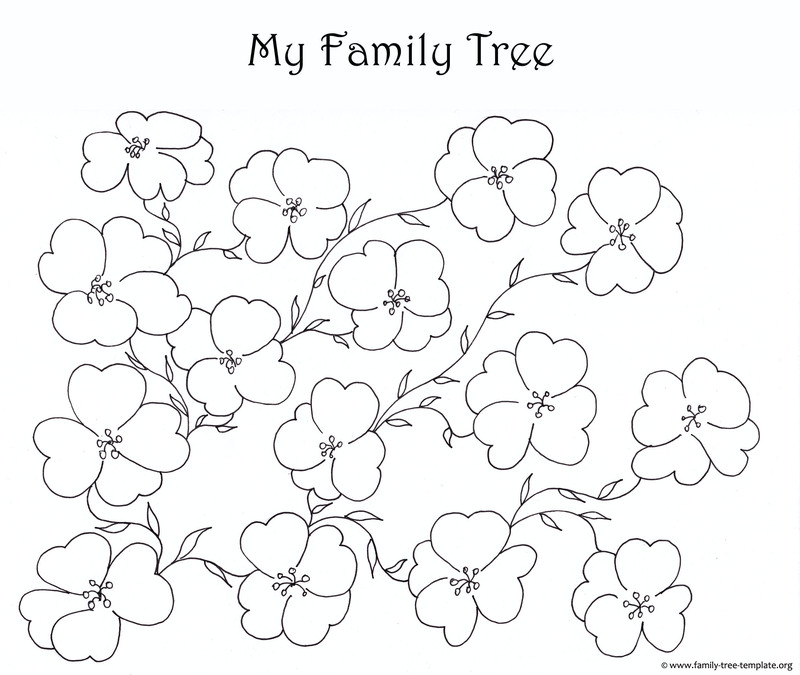 That’s right, using just your art skills and a few simple art supplies, you can make your own blank family trees. You don’t have to get into genealogy for dummies or do research into the genealogy definition and the complex side of things, but you can keep it simple and have fun doing research into your family and its fascinating history. If you’re going to do it as a project with your kids, it can be a fun way for you all to learn together and make a family tree as a united project! 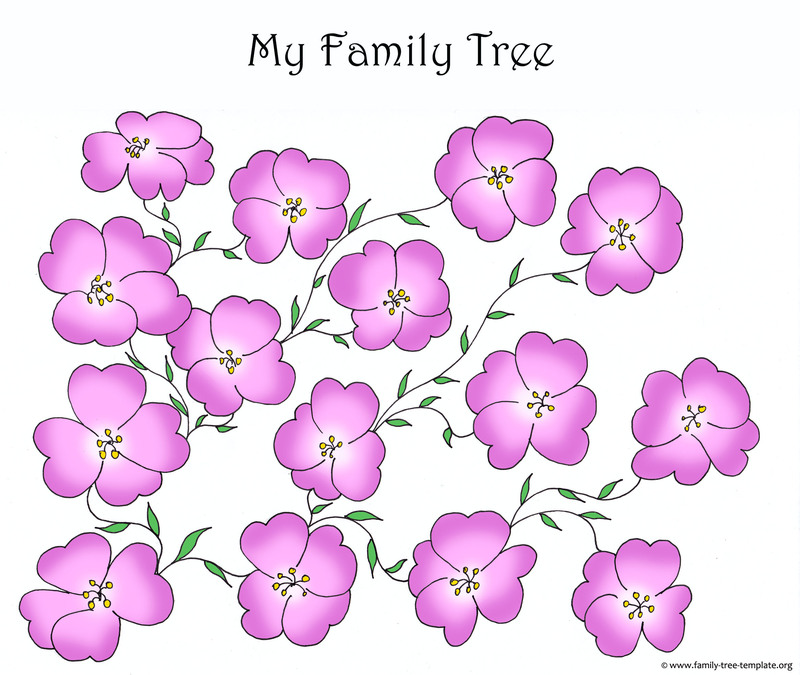 All of the graphics on this site are designed to help you come up with cute decorations for your family tree, and all of the blank family trees and printable templates here will be a good way for you to get started. However, if you have already done your research and found out about your family history, you’re probably going to want a fancy chart to put all of the information into. If you do, it can be fun to make a family tree using just your art skills. Your family are all birds of a feather, and using this as a theme for your family tree can be a great idea. 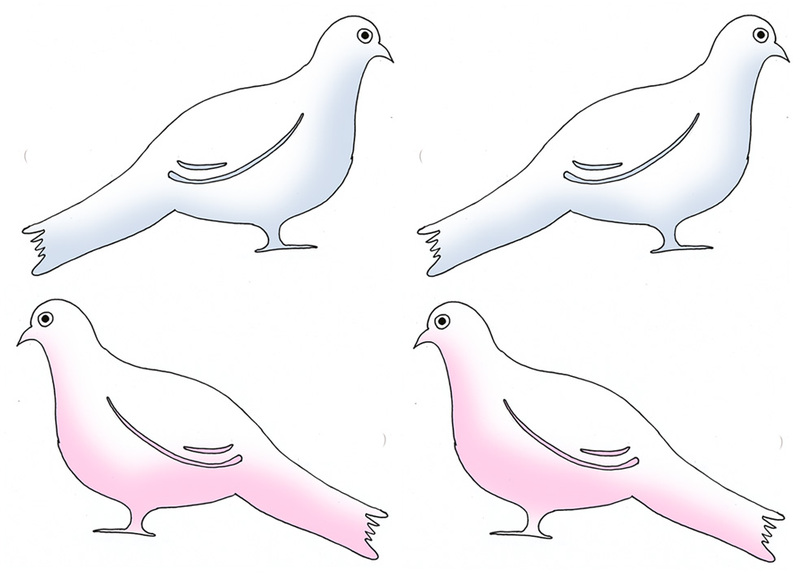 You can use owls as the parents for the family tree, and all of the kids can be smaller birds like pigeons, doves, etc. 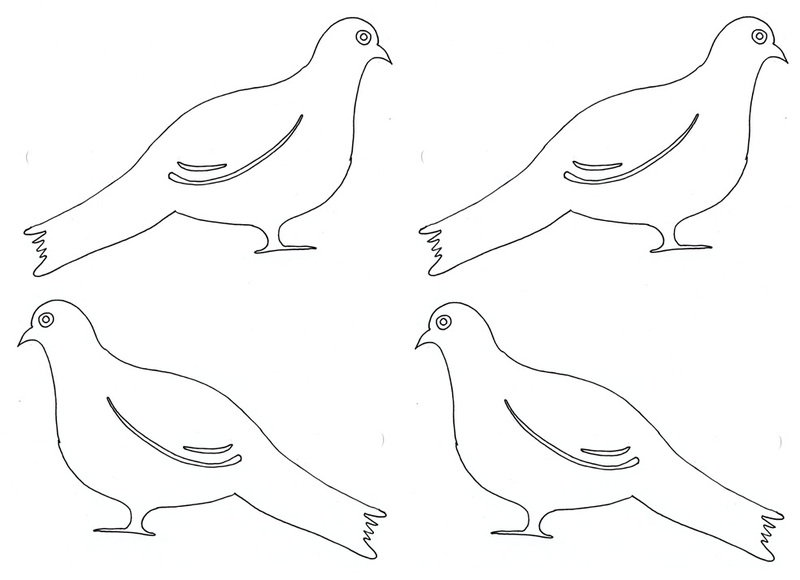 Use a simple stencil to help you draw the outlines of the birds on the branches of your family tree, and fill in the stencils with one color for the boys and another color for the girls. For a family tree showing only your immediate family, this is a cute idea. If you want some help to get started you’re welcome to print the below tree and birds. The first set is already colored and the second set is for those with kids who love to color themselves. Just print out the tree once and the birds as many times as you need (all depending on how many family members you want on the tree). Image size is 20,01 cm x 25,76 cm in 250 dpi – high printing quality and the right size to fit on an A4 piece of paper. 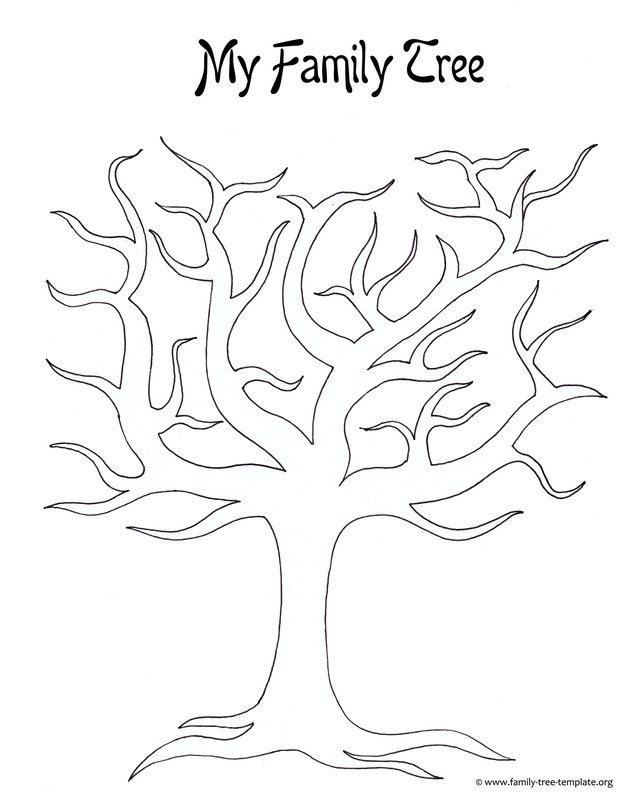 Here you have the same tree as the one above all ready to print and for your kids to color. And below you’ll find the birds too. For those who want to pass on a family tree to their kids, making this one will be a cute way to preserve your immediate family’s history for a long time. Use a real tree branch (a small one, of course) for the tree, and make sure that it forks right near the base of the tree. You can hang cute little decorations on the tree, along with the names of the people in the family. Once you have completely your tree, place it in a glass dome where it will be sealed forever. This will be an excellent artistic project for a family full of girls, as it will be a cute flowery theme. Have one flower as the bottom of your family tree, but start it in one lower corner of the paper rather than in the center. Expand the tree from there, using artistic vines and branches to join the flowers together. Color in the flowers or paint them as decoratively as you want, and add the names of the members of your family in the right places on your flowering vine. Image size is 20,01 cm x 23,7 cm in 250 dpi. This is one that is definitely going to look very modern, and it may be a challenge to get it looking right. Still, if you can, it is guaranteed to be fancy and very elegant. What you will need to do is find pictures of all of the members of your family, as far back as you want to go with your family tree. Scan the pictures and print them out, cutting them each out into a diamond shape. You can then pattern the family tree however you want using the diamond shaped pictures, and it will look very fancy on your wall. Making this tree will require nice handwriting on your part, but it will be an excellent idea for a family tree if you can find yourself some nicely colored paper to work with. 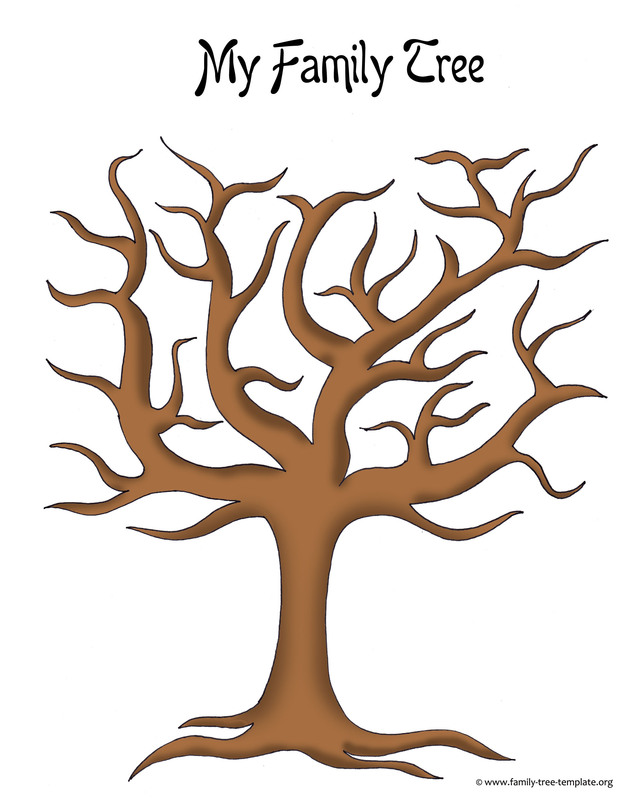 You won’t actually draw a tree, but you will simply start with the name of the primary person as the trunk of the tree. The names of the parents will be written in the shape of the fork in the tree, and all of the branches of the tree will be the other relatives on your family tree. Challenging, yes, but very much an excellent choice if you can get it right! Image size is 27 cm x 18,29 cm in 250 dpi. These are just a few ideas that you can try in order to make your family tree as decorative or fancy as you want, and the sky really is the limit when it comes to cute ways to make a family tree with your kids. You should stay within your limits of artistic talent, but it can be a whole lot of fun to try and make cute blank family trees using art supplies, pictures, and more! The pedigree chart is the simplest of the family trees that you will make, and it’s probably the best one to use if you’re going to make a family tree with your kids. It will enable you to trace your ancestry back as far as you want to, and you will just go back to your grandparents, great grandparents, and so on without listing all of your siblings, aunts, uncles, and so on. It will help you to keep it simple, and you will find that it will be a lot easier for your kids. Step 1: Determine what the design of your family tree will look like, and come up with the colors for the men and the women in the family. This will be good if you’re going to use silhouettes or shapes for the members of the family, though you can also use colored boxes for the names of the men and women in your family. Make sure that the design will keep the words in your family tree easily legible, and use a paper large enough so that the things on the tree won’t be too crowded together. Step 2: Start with the person that is going to be the primary focus of the chart. If the kids are doing research into their family tree, they will be the ones in the primary place and you and your spouse will be in the first parents’ spots. If you are doing it for your family history, place yourself in the primary spot and your parents on the tree above you. It’s important that you determine who is in the primary spot, as that will help you to get the research for the generations of the family right. Step 3: Above the first parents box, place each of their two parents. For example, if you are the primary person, your parents would be in the first two boxes above you, and your two sets of grandparents would go in the spots above your parents. It will be easier to do it like this, as you will divide the family into the two branches stemming from your mother’s side and your father’s side. Make sure that your father’s family is on the left side of the family tree, and your mother’s side will be on the right side of the tree. 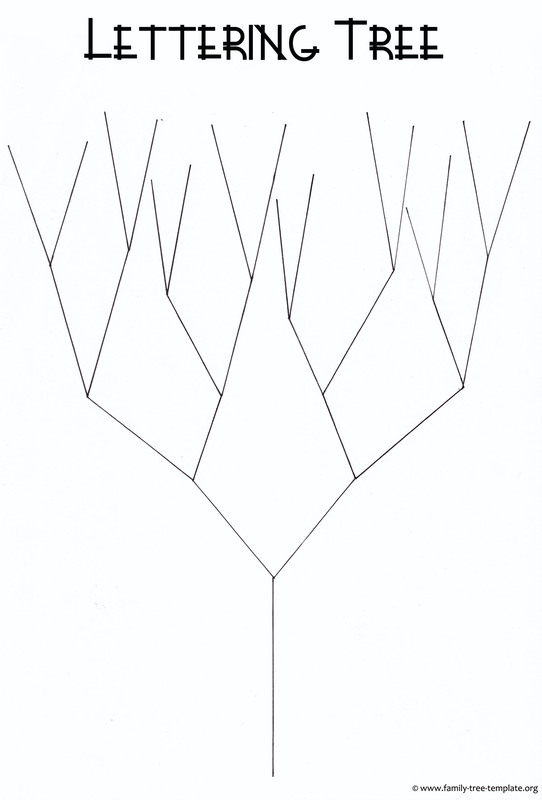 Step 4: Continue to add the branches of the family tree as you go, and keep splitting up the family tree into the father’s side and the mother’s side for as many generations back as you want to trace it. If you have an ancestor that you want to trace your pedigree to, you will have to go back through the generations until you reach the ancestor. If you’re just going to chart your family history back a few generations, it will be a lot easier and you can keep the design and layout fairly simple. As you can see, a pedigree chart is actually surprisingly simple, and it is one of the best types of blank family trees and ancestry charts that you can use to help you trace your family history. You don’t need to get too complicated with your family tree, but keeping it simple will be the best way to ensure that your kids can help out with the project. They can do the decorating of the family tree, and you will be the one that gets all the fun of doing the research into your family history. Getting your hands on the history of your family is not going to be as easy as you might think, especially if your family has not lived in the same city for many years. 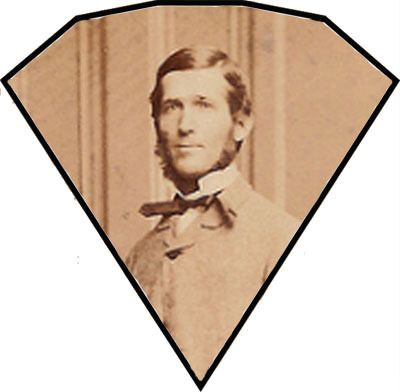 The truth is that doing the research is going to take a good amount of time, especially as you get back into the 1800s. The average city hall or local courthouse will have a large space dedicated to all of the public records that are stored in each city, and these public records can be a good place to do some digging into your family history. You know who your parents and grandparents are, but you may have to do some serious research to find out who your great grandparents and so on are. The public records archives will provide you with a place where you can go to look, and you should be able to find information going at least a few generations back. Many times your family members will all be buried in a same plot in a local graveyard, especially if your family has been living in the same city for a number of years. If you want to find information on your family members, you may want to contact local funeral homes and graveyards to find out more. They will usually keep records dating as far back as the founding of the establishment, so you may be able to find out more about the death of your ancestors by checking with local funeral homes. There are many sites that will help you to check through all of the family records dating as far back as the records are kept, and these sites can be a good way to do your research on your ancestors without having to do any leg work. Most of these sites will charge a small fee for the search, but they will usually be fairly helpful in providing the information that you need for your chart. If you want to get your hands on the information easily, these sites may be the way to go. If you are willing to invest a bit of money into your family tree and research, you should definitely consider using family tree software. These computer programs will enable you to find out a lot more about your family, as they will access the databases of websites and online archives to find all the information that you need for your family tree. They are designed to help make the creation of your family tree much easier, and they can be a good choice – though they will cost you a bit of money. The truth is that finding out about your ancestors is going to be challenging, especially once you have to start tracking them down to their home towns and discovering what ship they came to the United States in, etc. You will be working fairly hard if you want to go back more than three or four generations, but that’s all the fun of the task, right? It will be a fascinating way for you to find out more about your family and its unique history, and you may find that you can learn a bit more about your heritage and the reasons that your life is how it is when you make a family tree!